I will once again be hosting a group of artists for the annual West Austin Studio Tour. Stay tuned for more information, or contact me to be placed on my newsletter list. Contact me directly with questions or to purchase a piece. All works below are available for purchase. Please Contact Monte for more information to to make an appointment to view the collection. 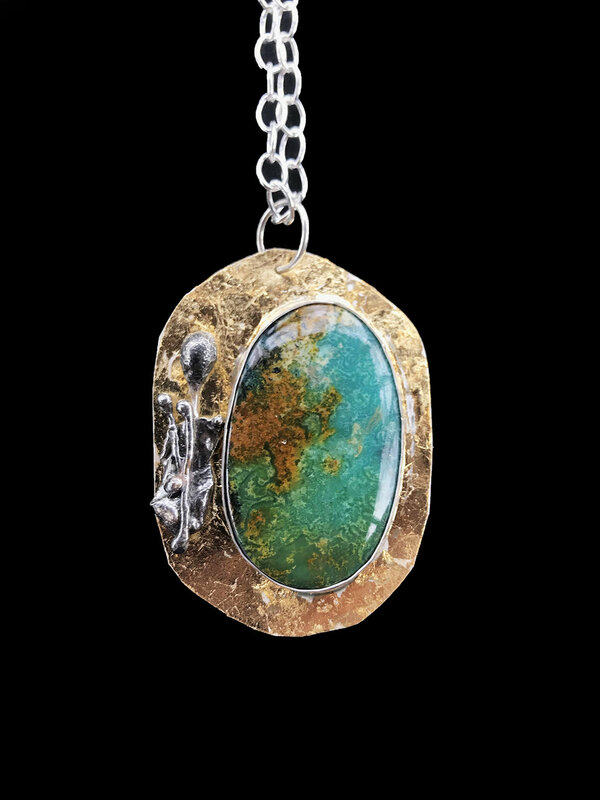 Turquoise cabochon set in sterling silver and garnished with molten silver pieces. This cool toned agate was hand cut, shaped, and polished by Monte. 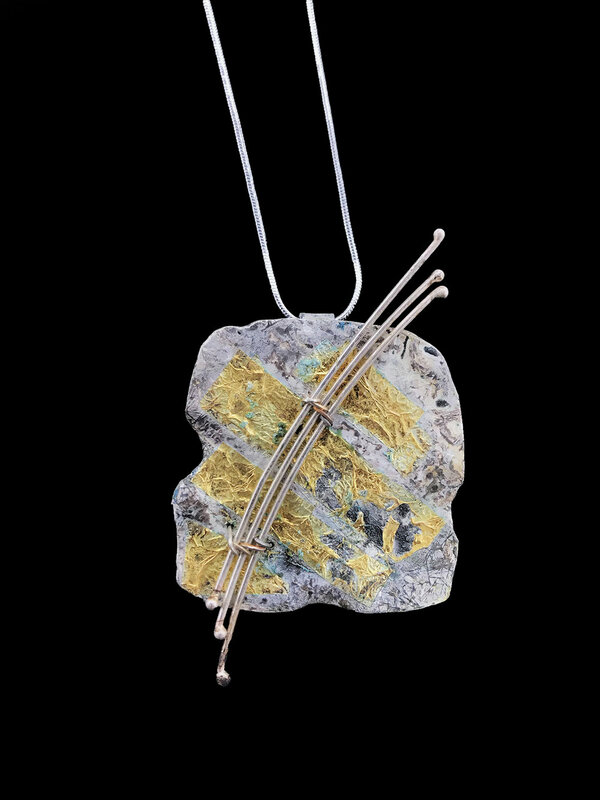 The stone is set in sterling silver and hangs on a silver chain. 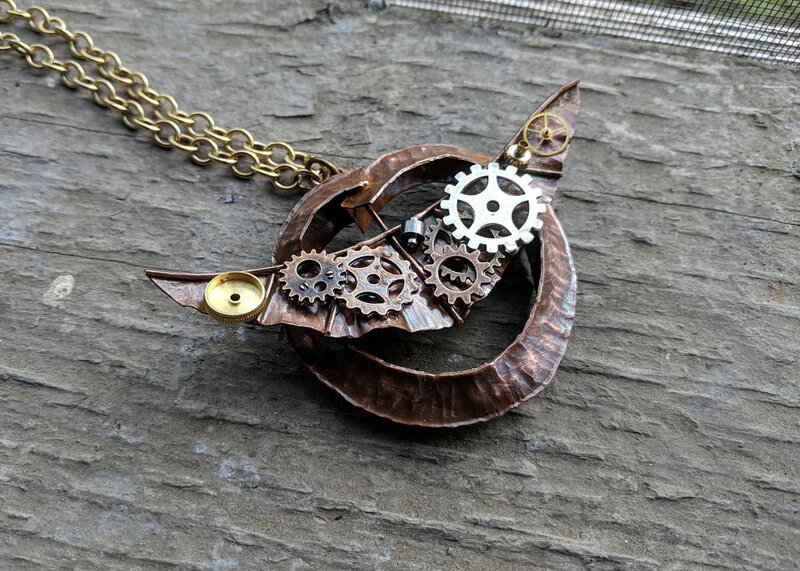 Carved originally in wax, this piece is cast using the lost wax casting method. 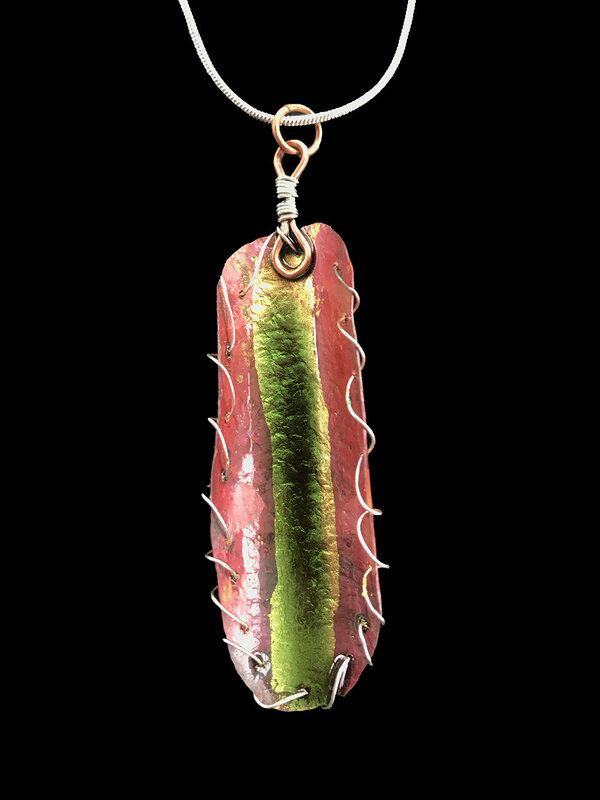 Pendant hangs on a silver chain. 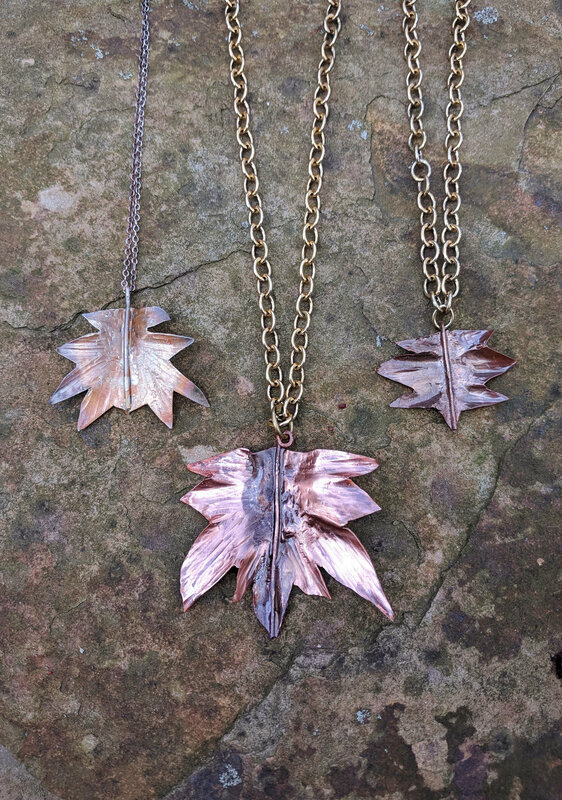 Fold form copper pendant hangs on a brass chain. 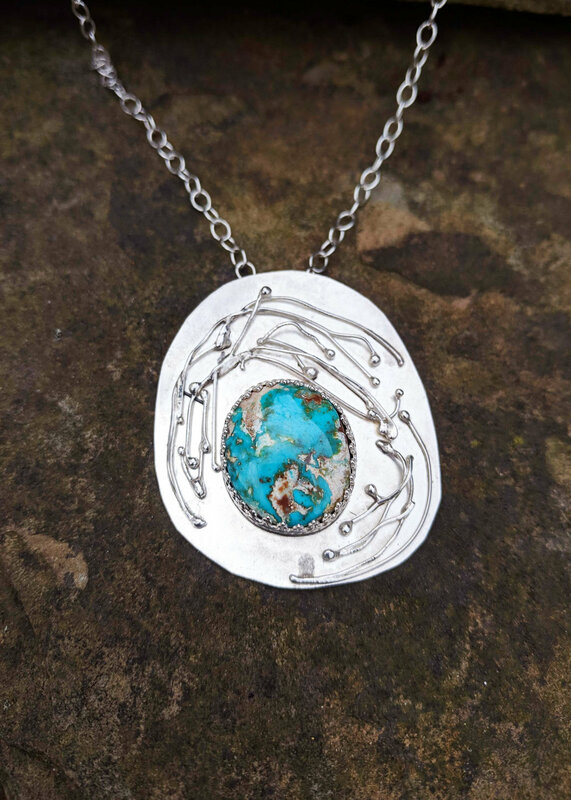 Cerrillos Turquoise bezel set in sterling silver, with line and applique details. A little about the old Number 8 Turquoise mine in Nevada. 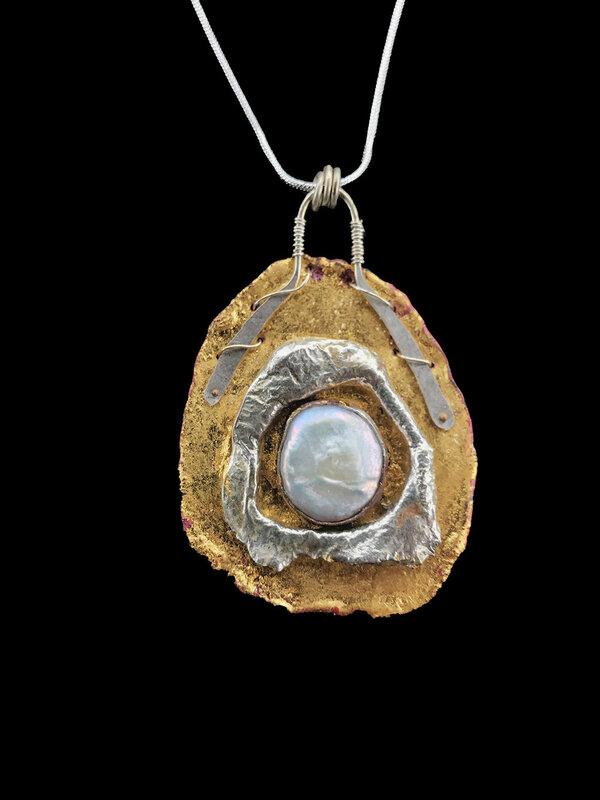 Large oval agate cabochon set in sterling silver, and framed by a fold formed silver crescent. Pendant hands on a silver chain. 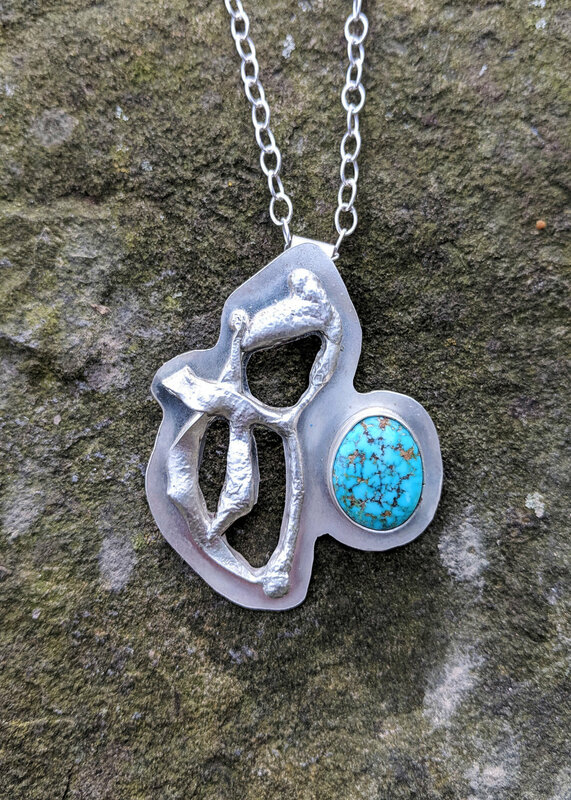 Sterling silver pendant featuring natural red coral, a turquoise cabochon, and inlay turquoise. Malachite cabochon set in sterling silver. 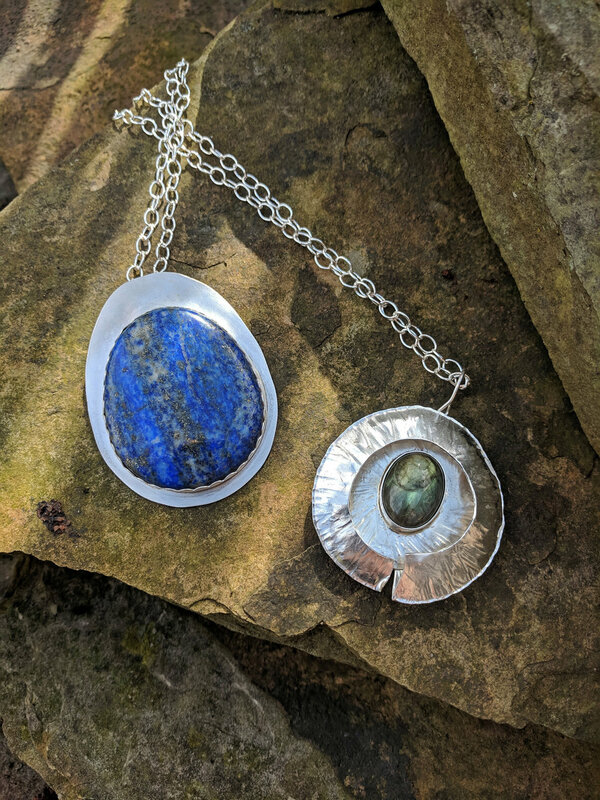 Pendant hangs on a silver chain. 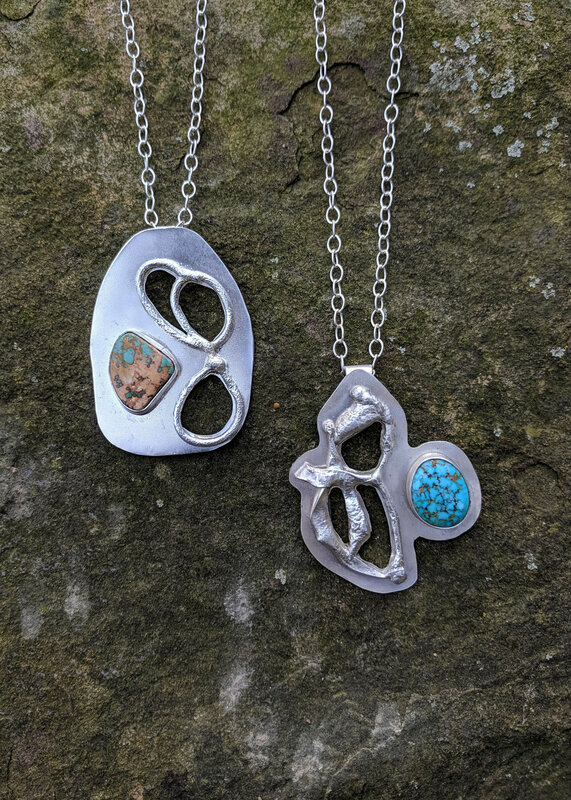 A natural turquoise cabochon sits next to a row of puffy inlay turquoise, all set in sterling silver. 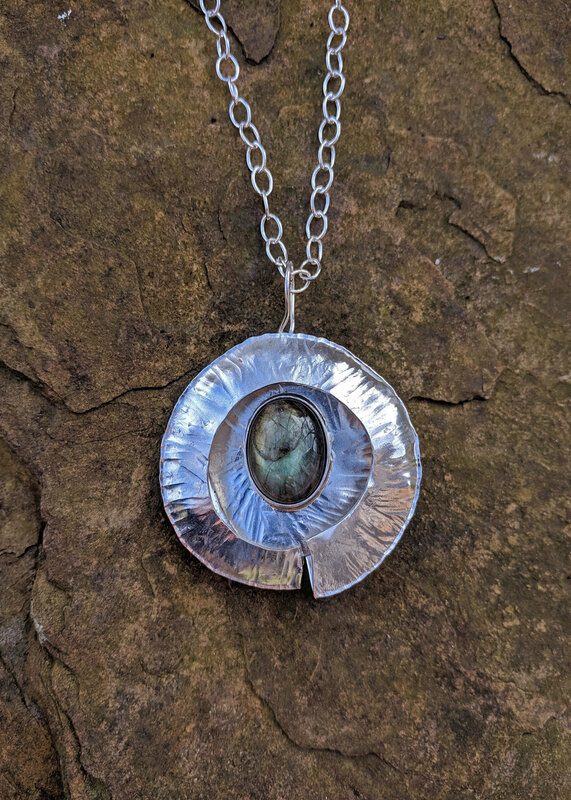 Pendant hangs on a silver chain. 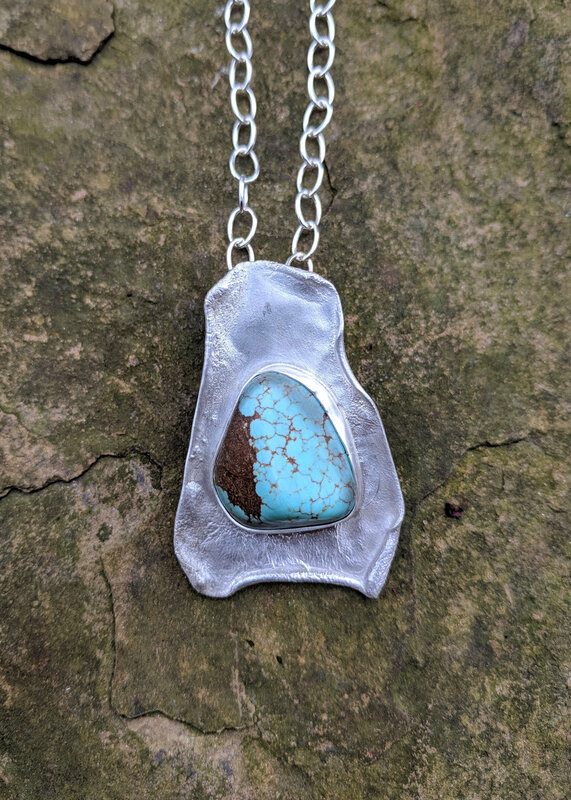 Natural turquoise set in sterling silver, with applique details. Using blacksmithing and fold forming techniques, this bouquet has been forged from copper sheet and round stock. 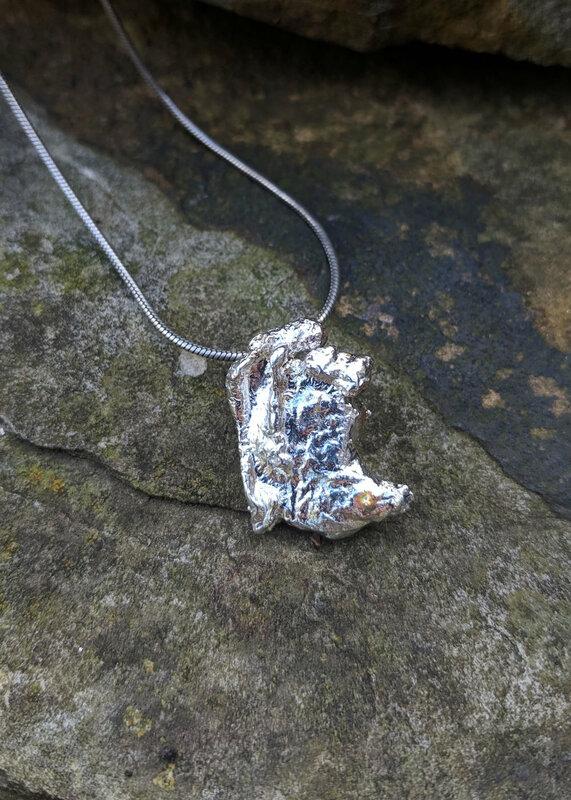 A petite white drusy floats within a crescent of molten sterling silver with a pierced floral accent. 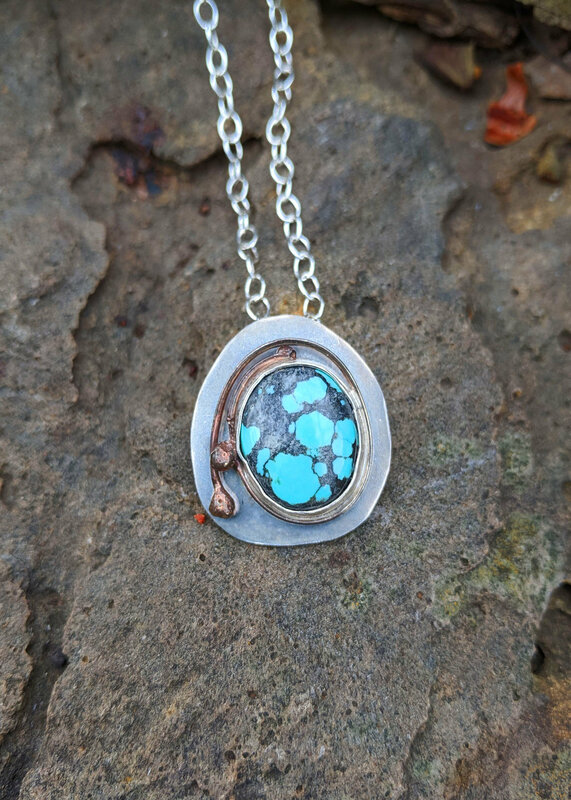 Round natural turquoise framed with twisted wire, and set in sterling silver. 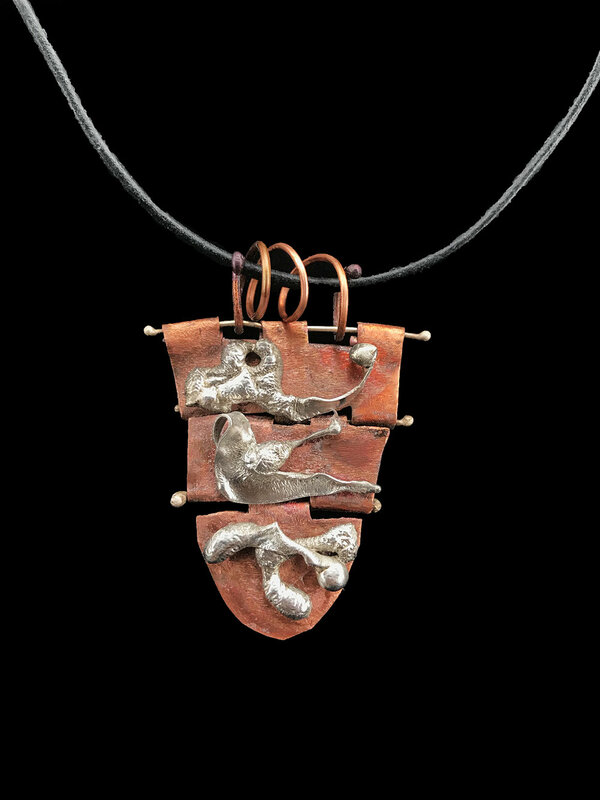 Pendant hangs from a hand formed bail on a silver chain.